Storm Wing wrote: Why bother? I just finished the Fate/stay night series and now I have to have a figma saber (cause the figmas are way better looking than the revoltechs). unfortunately the original armored release is difficult to find anymore, but I am saved! there's a new release! plus this new 2.0 ver. looks even better than the original! anyone know when she's scheduled to be released and a possible price point? ^Hahahaha! No problem, glad i can help. ^Thanks! that pretty much confirms what i had suspected about this, since it was only announced a little while ago, there's no solid info on it. and I agree, the feet/legs look significantly different from the original release and, just like the original, that set of hands is likely designed specifically for that pose, since it's pretty much her standard pose. a saber that couldn't pull this pose off wouldn't be worth it to many people. it looks to me as though her left hand may be able to nest into her right hand more than it is in that shot, and that the person in charge of the photos just didn't take the time to fiddle with it that much. 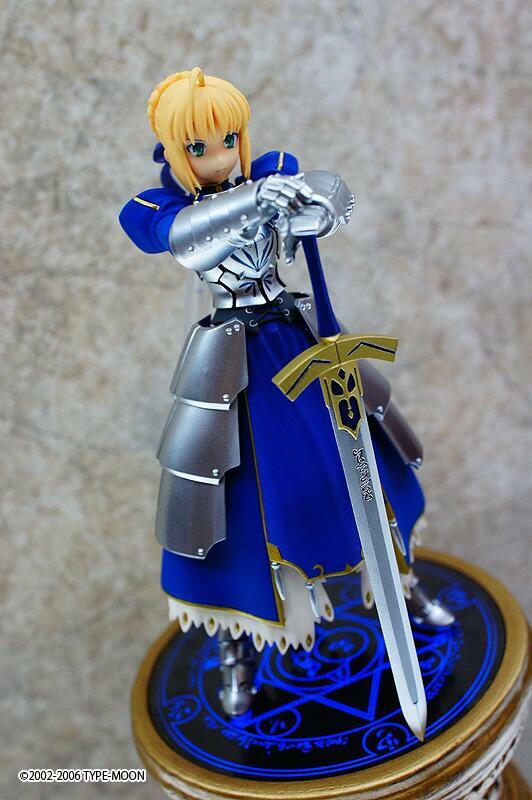 also, it may be just the quality of photos' i've seen of the original saber, but this new version appears to have significantly more and finer detail, no? i'd imagine the price is likely to be in the same range as other recent figma, so i'd guess somewhere pretty close to $60 or more (once it gets to the states), based on how detailed she is and how large a fanbase saber has. If I'm even close to right about this it'll be an instant buy for me. And~ I'm having fun with Misaka sisters. Left Misaka - "[Misaka, ready for long range attack. ], says Misaka Unit 16397 as she wield her anti tank rifle." Right Misaka - "[Misaka, ready for close range attack. ], says Misaka Unit 09366 as she wield her assault rifle." Center Misaka - "[Misaka, ready for total annihilation. 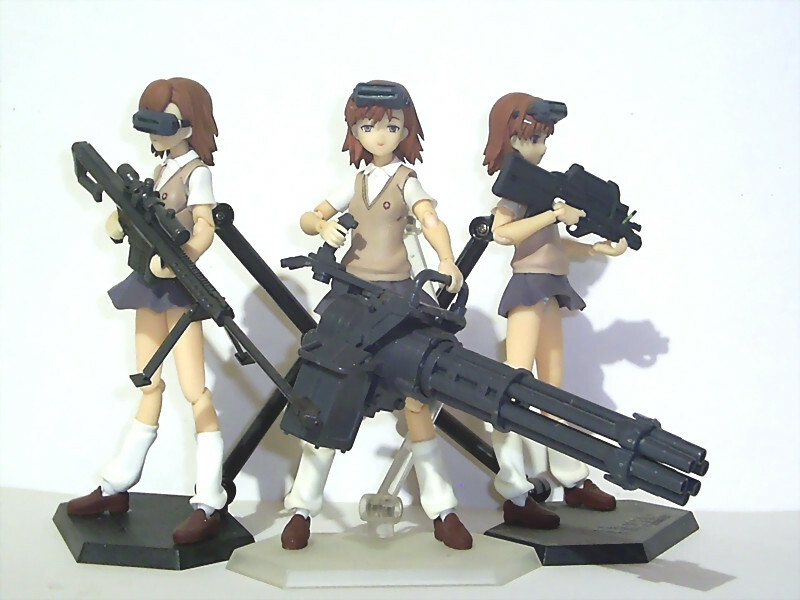 ], says Misaka Unit 00666 as she wield her gatling gun. 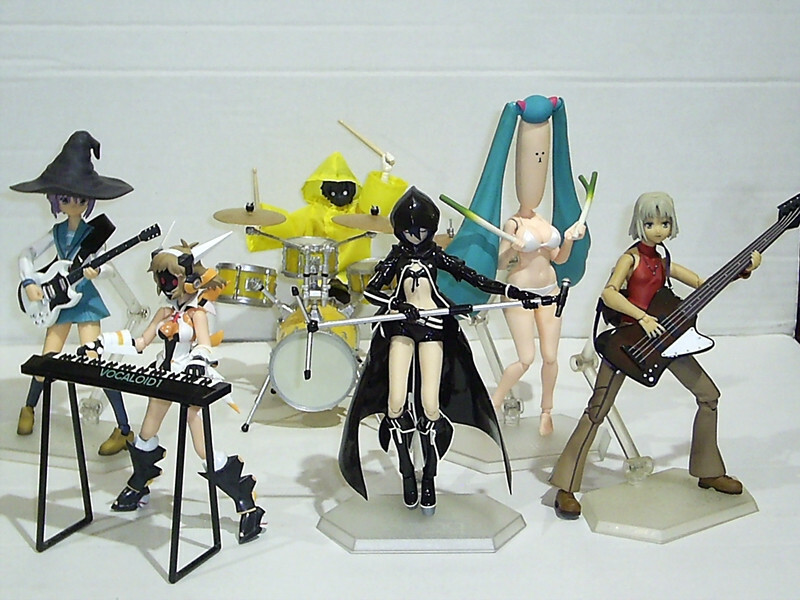 Fufu... Fufufufufu..."
LADIIIIEEES & GENTLEEEEEMAAAAAAN~!! Your wait is over! I'd say that he needs more swords for the Unlimited Blade Works, but then again, we all collect figures, so none of us should have too much trouble getting a bunch of toy-sized sword accessories. rubixbox wrote: I'd say that he needs more swords for the Unlimited Blade Works, but then again, we all collect figures, so none of us should have too much trouble getting a bunch of toy-sized sword accessories. That's the least of my concern. What i'm hoping: Will this figure included with the Unlimited Blade Works DL Stage Papercraft? You know, just like the Class room papecraft (from Haruhi Suzumiya figmas). I guess I should also post a couple of pics here, since it was two Figmas (and a Revoltech) that finally got me over my crippling "buyer's remorse" and got me back into my Shinki collection. Namely Scarlet Rain (from "Accel World") and Alice (from "Queen's Gate"), both gotten as impulse purchases using the last of an Amazon gift card that I'd gotten and forgotten about; the 1/12-scale Shimakaze daimakura was a keychain I'd gotten off eBay whose "keychain" part broke off on arrival (the perils of getting something from a Hong Kong seller). The second Figma I got was Drossel von Flugel (from Disney's "Fireball"), with the intent of having her and Scarlet be paired up. However, Drossel didn't arrive until over a month and a half later, and, when she did, she was in an open box with her her arm broken off; the one seen here is the second one I got (I'm STILL waiting for my refund on the first), and she STILL had an open box and a broken stand. Her right pigtail peg also broke, but I'm willing to accept responsibility for that for trying to swap headgear before the figure had warmed up to room temperature. 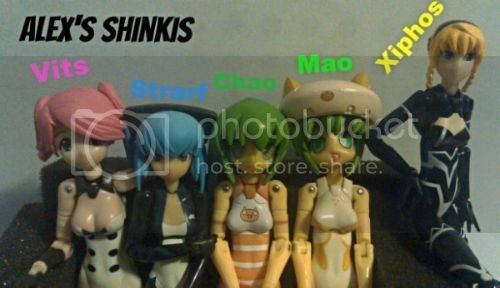 Despite the issues with Drossel (seen here accompanied by her gashapon "Mini-Me" squad), I really enjoyed these new forays into "plastic crack"; however, as great as these ones are, they made me long for my Shinkis again. Bonus pic of Valona and Razz (I named them both, "Deva" and "Janis" respectively, but they seem to prefer their model names) having a "sass-off," Valona having borrowed one of her new bestie Alice's spare undies, for...I dunno, effect? My latest hauls are Super Sonicos. Sonico: "Umm... I don't know how to start with... How about this tune?" Me: "SHUT UP & TAKE MY MONEY!!" Almost like a 'sukumizu' tan, huh?